Even as the view of America as a rogue state consolidates abroad, Americans appear largely bystanders at the spectacle of their government running amok. People forget the myriad instances of their government's flouting of the Constitution and international legal norms-- if ever they were aware of them in the first place--accepting to live in the increasingly pernicious "new normal" with little protest. This remarkable anthology of columns documents and reminds us of the extraordinary developments that, in their accumulation, have led to the destruction of accountable and moral government in the US. Few American commentators have cut more clearly through the deepening deceit, hypocrisy and outright criminality that has infested official Washington since 9/11 than Paul Craig Roberts. His scathing critique sheds much-needed light on the country's impending nightmare-economic collapse, internal repression, ongoing wars, and rising rejection by friends and foes alike. America's fate was sealed when the public and the anti-war movement bought the government's 9/11 conspiracy theory. 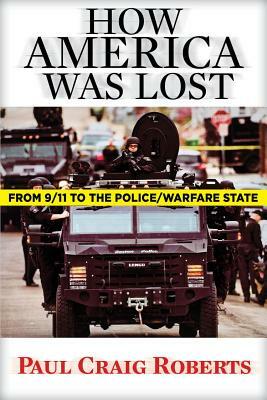 This defining event of our time, which has launched the US on interminable wars of aggression and a domestic police state, is a taboo topic for investigation in the media. Trillion dollar wars have created financing problems for Washington's deficits, threatening the dollar's role as world reserve currency, and putting Social Security and Medicare on the chopping block. These protections are called "entitlements" as if they are some sort of welfare that people have not paid for in payroll taxes all their working lives. With over 21 per cent unemployment, with American jobs, GDP, and technology having been given to China and India, with war being Washington's greatest commitment, with the dollar over-burdened with debt, with civil liberty sacrificed to the bogus war on terror, the liberty and prosperity of the American people have been thrown into the trash bin of history. The militarism of the U.S. and Israeli states, and Wall Street and corporate greed, will now run their course. "How America Was Lost" marks Roberts as one of the most incisive and courageous moral commentators in America today.